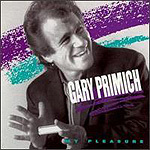 Austin's Gary Primich is a singer-harpist in an electric blues mold. A better harmonica player than singer, Primich offers an enthusiastic if not quite polished package of blues, R&B and boogie on this release. Primich has a unique sound on harp, with a rhythmic nasal grunting that lends to his playing a certain primal feel. The band is solid, with Shorty Lenoir having a particularly nice touch on guitar. Lenoir's big, fat sound hints at an electric hollow-body, and complements Primich. Lenoir's fills and solos always defer to Primich, never stealing the spotlight. If there is a complaint, it's that the sound mix is mushy. While Primich's vocals and harp are clear, the rest of the band gets lost in the background.